3 Blu-Ray Disc Set with All Access Mayweather vs. McGregor + Much More. Also: Gervonta Davis vs. Francisco Fonseca, Nathan Cleverly vs. Badou Jack & Andrew Tabiti vs. Steve Cunningham Full Fights. 2 Blu-Ray Disc Set with All-Access + More. Also: Roman "Rocky" Martinez vs. Orlando Salido II, Badou Jack vs. George Groves & Jonathan Oquendo vs. Jhonny Gonzalez. 3 Blu-Ray Disc Set with Inside Mayweather vs. Pacquiao, Mayweather/Pacquiao: At Last, Mayweather/Pacquiao: The Legends Speak + Much More. Also: Leo Santa Cruz vs. Jose Cayetano & Vasyl Lomachenko vs. Gamalier Rodriguez Full Fights. 2 Blu-Ray Set with All-Access + More. 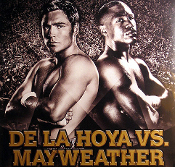 Also: Leo Santa Cruz vs. Manuel Roman, Mickey Bey vs. Miguel Vazquez & Alfredo Angulo vs. James De La Rosa. 2 Blu-Ray Set with All-Access + More. 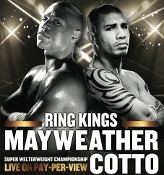 Also: Amir Khan vs. Luis Collazo & Adrien Broner vs. Carlos Molina. 2 Blu-Ray Set with All-Access + More. Also: Danny Garcia vs. Lucas Matthysse. 2 Blu-Ray Set with All-Access + Much More. 2 Blu-Ray Set with 24/7 & More. Includes 24/7 & Face Off. Includes 24/7. All time PPV record.